As a long-standing supporter of ftbs and initiatives to tackle unaffordability, Barclays was determined to promote the Government’s London Help to Buy scheme as a preferred lender. 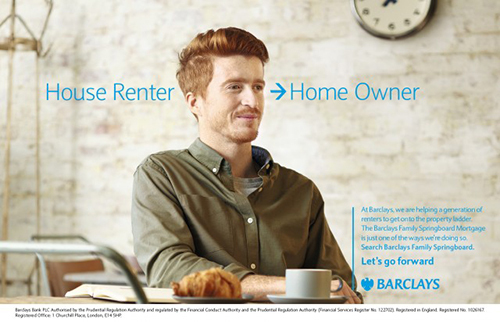 To overcome poor awareness and scepticism, Barclays devised an integrated, multi-channel, content marketing campaign to inspire generation renters who felt priced out of the capital. The campaign utilised explainer videos, ATM messaging and in-branch postcards, with SEO work, ultra-engaging content and an online hub which promoted infographics, articles, case studies and an interactive map of the 10 most affordable London postcodes. By using content to inspire hope that people could get on the ladder, Barclays was able to capture around 23% of the London Help to Buy market.